In this arid and desolate map, there lies but only ONE Tiberium Field..... Can you survive this cash STARVE and defeat your enemy? To make matters just a little bit better, each player has an opportunity to get a Tiberium Spike. I'd recommend setting your money to 40,000, but if you really want to test your limits, set it as low as you want! Note: The preview image may make the map appear to lack details, however that is not true. It does look good in game. 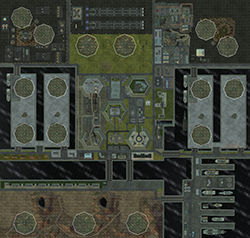 GDI Port City is an 8 player map that is based in a harbor and a space construction center. This takes place in the desert of Egypt where there is a lot of oil construction going on. This is a four player map that has high quality details. 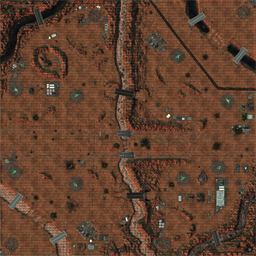 This is a single player custom map for C&C 3: Tiberium Wars. The player takes control of a Nod commander, whose mission is to evacuate one of the three stolen GDI Nukes in the Australian Outback.The map has a size of 500x500, with lots of scenery and secondary objectives. The map will appear in the Custom Map section in the C&C 3 Main Menu. 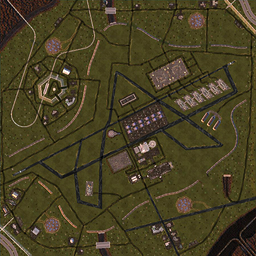 This all original Blue Zone (Large) 4 Player Skirmish Mega Map that takes place somewhere in northern North America. This map is loosely based off of a massive airport next to Canada's NORAD in North Bay. 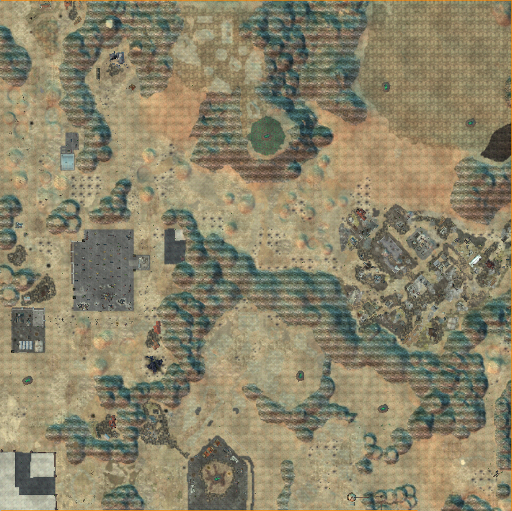 This map is HUGE, if you like large interesting maps like "Blacks Big Battle" then you may enjoy GDI_NORAD_Air_Defense. It's as balanced as they come. Update: I have recently updated the Map with trucks driving down the roads; I have also added more detail and fixed some texture issues. All Map units are neutral so don't worry about them, worry about your opponent. This is a predominately GDI themed map. GDI fans enjoy. This is the second TW map I have ever uploaded, I hope you have as much fun playing it as I did creating it. This is a well balanced, highly polished, 3 vs 3 player map. Everyone starts off with a green tiberium field with two extra blue tiberium. There are some fields along with two tib spikes and defense towers in the middle. There is also a back lane in the south for sneaky players. Hee hee hee. This is Predatore's 5th Map Pack for C&C3: Tiberium Wars. These maps were originally released for C&C Lab's in house mod "The Forgotten" but are now released in their own map pack along with his Tournament Stadium maps. I had some Futurama style inspiration for this map. Scripted lighting with sound to add some ambience. 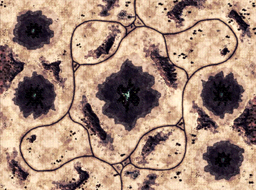 Map comes with four Blue tiberian fields, four green ones, and 16 tiberian spikes. Note: There are one or two buildings that look weird. That's because I tried to remake certain things within this map. 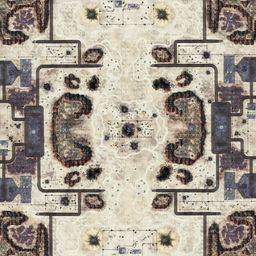 This all original (Large) 4 Player Skirmish Mega Map that takes place some where along the famous Desert Highway "Route 66" in the good old US of A. There are industrial mining and missile complex areas along side "Route 66" that will be your battle field. I know Route 66 is just one road but I had to put four. Think of it as the future of Route 66. This map is HUGE, if you like large interesting maps like "Blacks Big Battle" then you'll love Route_66_Forever. I made this map much less choke pointed than most "river divide" type of Maps. Bridges are not your only way across. All Map units are neutral so don't worry about them, worry about your opponent.. 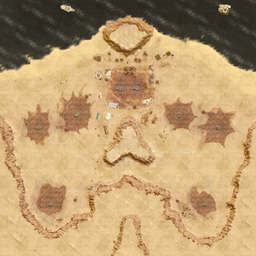 This is a predominately GDI themed map, so GDI fans dig'in. It took me two weeks and a sleepless night or two but she's all done. I hope you have as much fun playing it as I did creating it. Edit: I have recently updated the Map with Trucks driving down the highway. If you have already downloaded it I encourage you to replace the old map file with this one. The details are very fine and picturesque.